The benches of the back of the church were removed to make a vibrant gathering area for the church members to gather after the service. 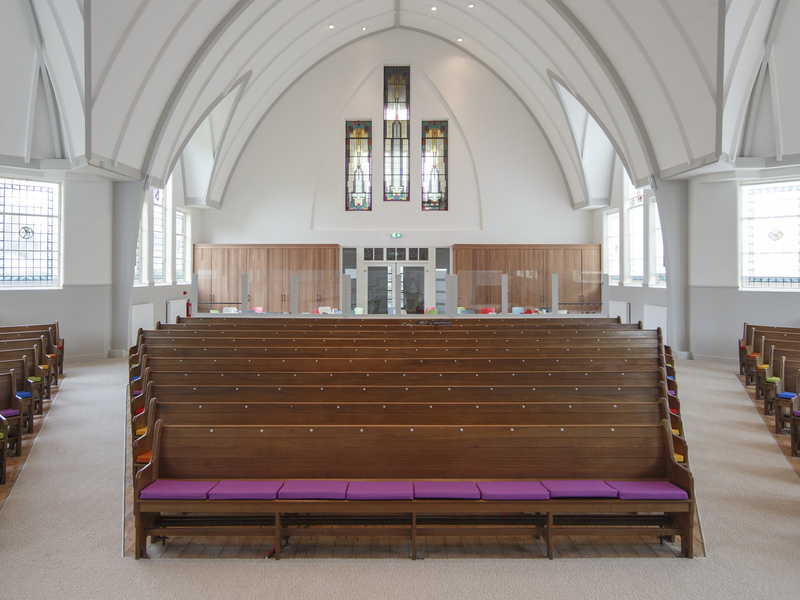 All the benches that were removed were recycled and refit to make the new cabinets and liturgical furniture. 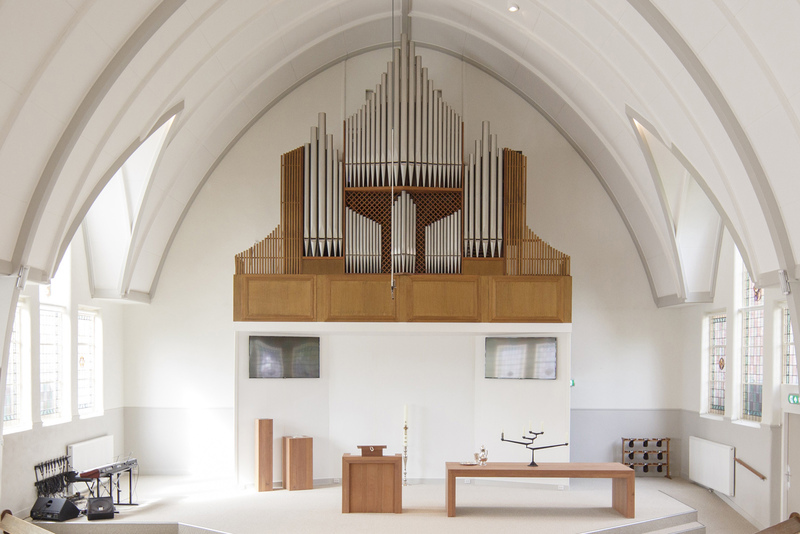 The interior of this church in Lisse went through quite a metamorphosis. The church building dates back to 1928. The place of worship has a pointed gable roof, typical of many churches from the twenties and thirties of the last century. Bright and colourful accents were introduced which refer to the existing colourful stained glass and of course the surrounding tulip fields of Lisse. The women of the church sewed the colourful comfy cushions for the benches themselves. The ceiling was given a whole new paint job with warm color palette. 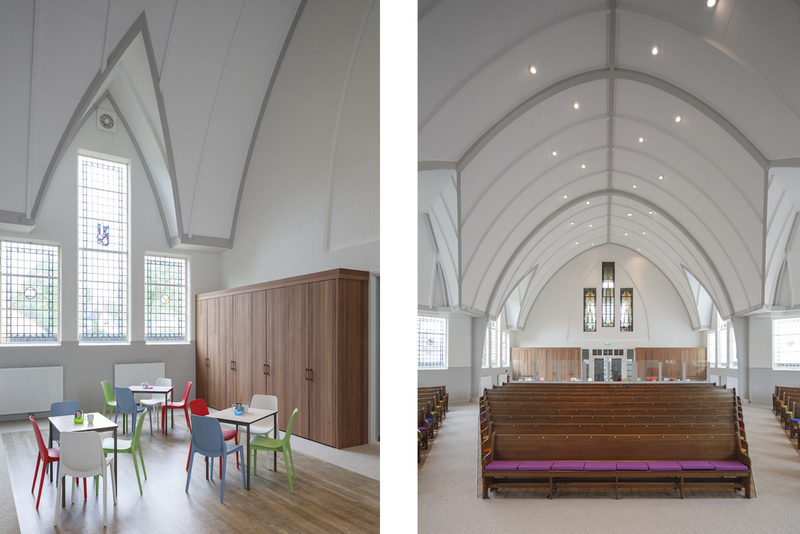 The entrance of the church underwent a complete transformation, a whole new layout was introduced which includes a new handicap toilet, a multifunctional room and a new kitchen. This project was completed with lots of endurance and patience. It was an honour to work with the lively members of this church. The congregation of the church took matters into their own hands and carried out the renovation in stages, an ongoing process which took more than two years. 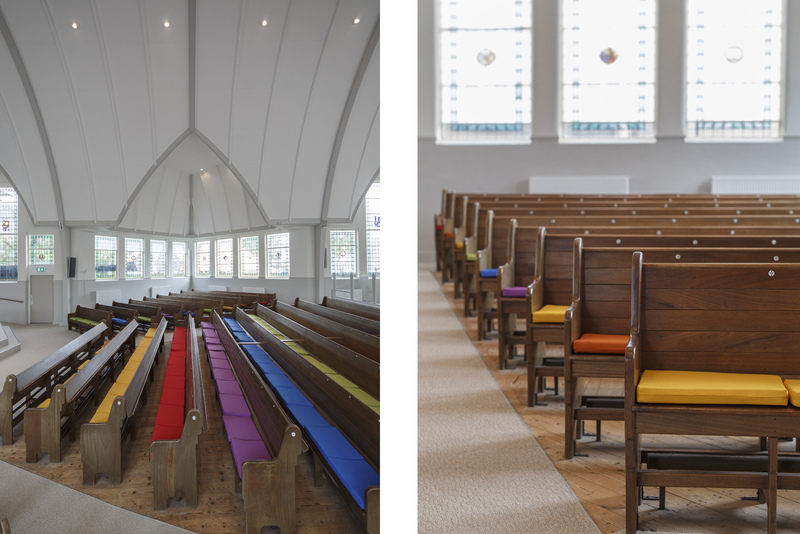 The new interior is fresh, colourful and fit for the new generation church worshippers!